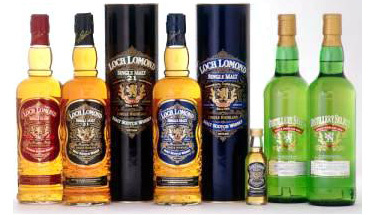 Do you want to buy Whisky Online at the UK's guaranteed cheapest prices? And wouldn't worldwide delivery be helpful too? Great, as Online Whisky Shop helps you buy your favourite tipple online and get it delivered to your door with some great savings. The Ardmore distillery has been distilling the finest highland malt whisky since 1898 and whilst the world has moved on little has changed in their distillary giving a truly supreme taste. Bottled at 46% ABV, Ardmore Single Malt Scotch Whisky is only barrier rather than ‘chill’ filtered thus preserving all the natural flavours. We are based in Scotland which is one of the reasons we have access to so much Whisky information, and can easily find what we want when it comes to buying. The World Whisky Awards 2007 winning whiskies have been announced and the 6 main catagory winners are listed below for your enjoyment. After all, can you get a better recommendation? A young and exciting Laphroaig malt scotch whisky whose maturation has been quickened by ageing in a quarter cask – hence the name. When tasted it comes across as being very silky and sweet with the well known Laphroaig peatiness developing towards the end.